Founded in the 1850s by Americans building the country's first railroad, Colon is now one of the largest duty-free ports in the world. 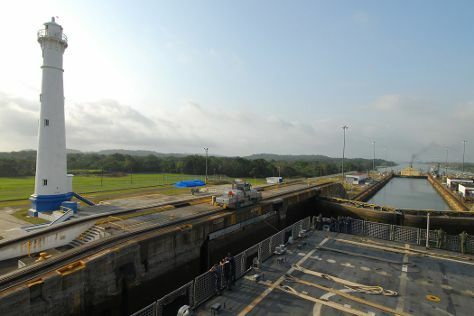 On the 5th (Mon), gain insight at The Galeta Marine Laboratory and then contemplate the long history of Gatun Locks. For more things to do, ratings, where to stay, and tourist information, you can read our Colon travel guide. If you are flying in from Germany, the closest major airports are Marcos A. Gelabert International Airport and Tocumen International Airport. December in Colon sees daily highs of 36°C and lows of 28°C at night.